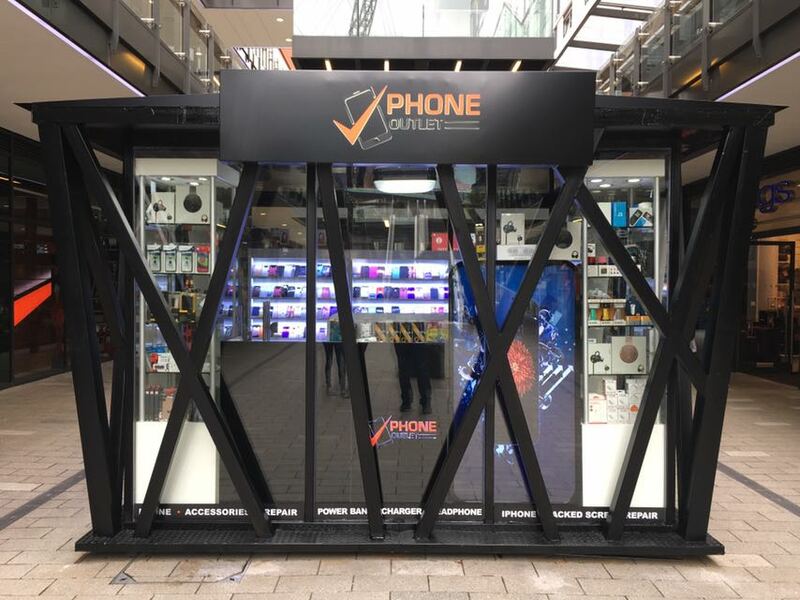 do you think to open a cell phone store in outdoor? that is very good ideas. Current our UK customers have these ideas and found us made the cell phone store, we got customer feedback photos and it is very high-end and fashion. as you saw, it is a glass room, you can see inside at a glance, inside is some display cabinets and display showcases, outside is for a steel frame with some shape, then put the logo on the top, when night, inside the light opening, looks very cool. store door also is very three-dimensional, when you will walk into, it like going to a castle, lol. 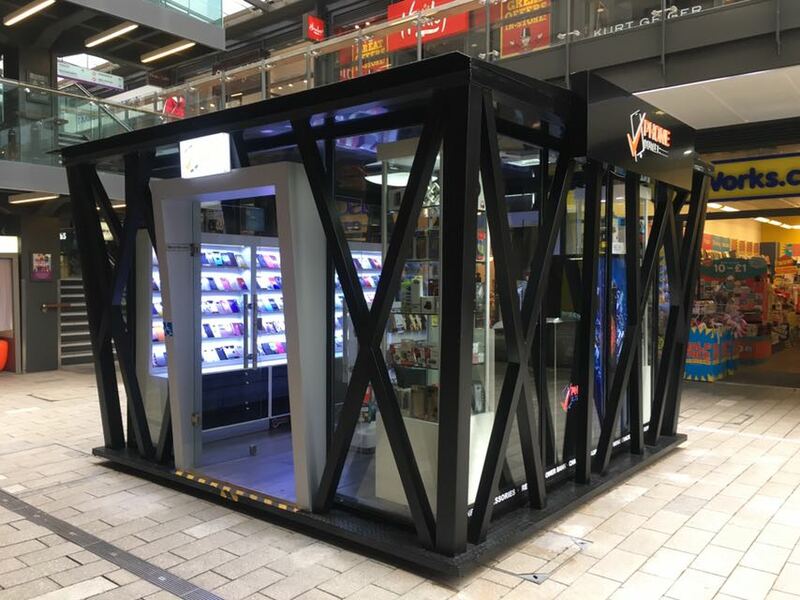 for outdoor kiosk, it is a steel frame, we first need to make outside black steel frame, build it for a store and then fixed inside glass, about display cabinets more it is very easy and finished and direct put into this store, this one outdoor store , it is very waterproof, sun-proof. 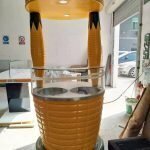 about size, it is 4 by 4m and deep is more than shipping container size, so considering shipping, not is one whole , we have to make it assembling and divide into 2 parts, you also not worry installation, only push this 2 parts together, of course , this need some workers, you also not worry connect area flooding water problem, only use screw fix it and then make some dispose on the roof, so it is very water-proof.